There has not been hardly any Nexus 7 2 renderings since we first heard about the tablet up until now; but now we have a new concept to share with you that we hope you will like. To be fair, we have not seen any Nexus 7 2 concepts because we know for sure it will have the same design as the original Nexus 7, the only difference will come by way of specs. This Nexus 7 2 render seen below in the photo and the video provided was created by Sting-Ray Vintral, we do not know too much about this Nexus 7-inch tablet other that it may come in two versions named the Asus K008 and Asus K009 according to our previous article. 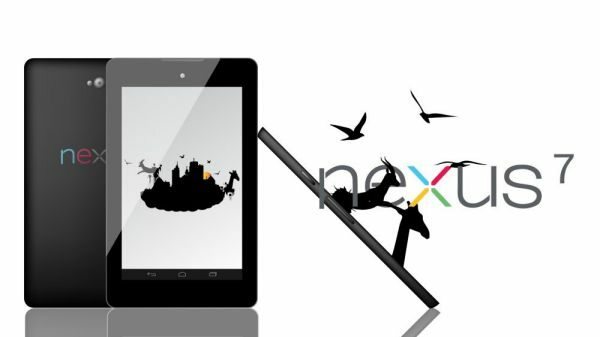 This new Nexus 7 2 concept comes with a 1.5 GHz quad core Snapdragon 600 CPU, 7-inch 1920 x 1200 pixel display, 8-megapixel camera on the rear plus a 1.3-megapixel on the front, it will apparently run Android 4.2.2 Jelly Bean. Phones Review believes that the Nexus 7 2 tablet should come with at least 2 GB of RAM and Android 4.3 rather than 4.2.2, the official version should be a lot thinner with smaller bezels than the Nexus 7 we already know so well. In reality specs would possibly include 7-inch 1080p HD display, 5-megapixel camera on the rear, 16 and 32GB versions even though a 64GB would be better, as well as both WiFi and 4G LTE models. Please do watch the video, based on this and the specs given above would you be interested in the Nexus 7 2, or would you prefer better specifications and a design change? HOW DARE YOU SAY THIS STUPID VIDEO IS DUMB?! A horribly-written article and a lazy, uninspired and downright terrible “render”. Of all the awful Nexus 7 2 articles i’ve read, this is by far the awfulest. We should create a commemorative award shaped like a bad smell and present it to the author in recognition of this epic piece of journalism.